The University of Wisconsin System Learning Technology Development Council supports the University of Wisconsin System 2020FWD Vision. This Virtual Showcase is one way to promote the concept while we embrace and implement change in the learning technology world. We hope to ease the transition for our instructors and learners. 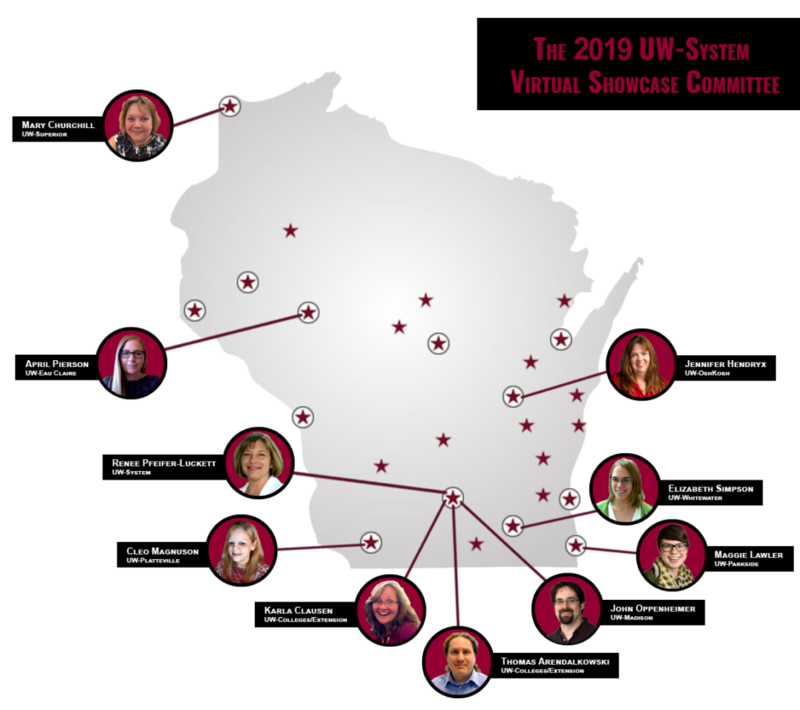 Register to attend the 2018 UW-System LTDC Virtual Conference. Registration is free and open to everyone. You’ll need a computer and an internet connection. Registered participants will receive notices of schedule changes and cancellations. No longer just consumers of information on the Internet, we are also composers and creators. As we prepare and support students for the future, we must consider the skills that are required to function in today’s digital environment and in the workforce. What can we do as educators and administrators to strategically implement digital fluency, literacy and citizenship skills and competencies across the curriculum? This keynote will actively explore these topics through examples and discussion. Leah Chuchran-Davis is the Director of Instructional Design Quality and Continuous Improvement at iDesign. iDesign is a higher education service provider which partners with universities to build, grow and support online and blended courses and program offerings. As an online educator and mentor, she also facilitates a variety of workshops and mastery series along with the Instructional Design Certificate Program at the Online Learning Consortium. For the last three years, Leah has supported the growth of the summer online program at Emory College, increasing the number of courses from six to 33. Since 2005, she has worked to support many individuals, departments, and schools that have been completely new to the online environment. Leah obtained an M.S. in Organizational Management from Chadron State College, a post-graduate certificate in Instructional Technology from San Diego State University and a B.S. in Information Systems from the University of Phoenix all via online programs. She currently resides in western North Carolina on 36-acres in the Blue Ridge Mountains as she and her family begin to grow a self-sustaining micro-farm. It’s almost like the “choose your own adventure” books from back in the day – just as much as educators want academic freedom, so do students. Given a supportive, active learning pathway, students will surprise us with their commitment and creativity. Everyone wants innovation. No one wants change. Change, however, is a critical element of innovation. Many of the world’s most impactful innovations were born from constraint, stress, and even fear. When change is forced upon us, how can we adopt a different mindset to turn uncertainty into opportunity? How can change spark a culture of continuous improvement needed to address complex issues on our campuses and in our communities? Innovative practices can ease difficult transitions and spur momentous change for an organization and individual, by those who know how to transform vulnerability into action. 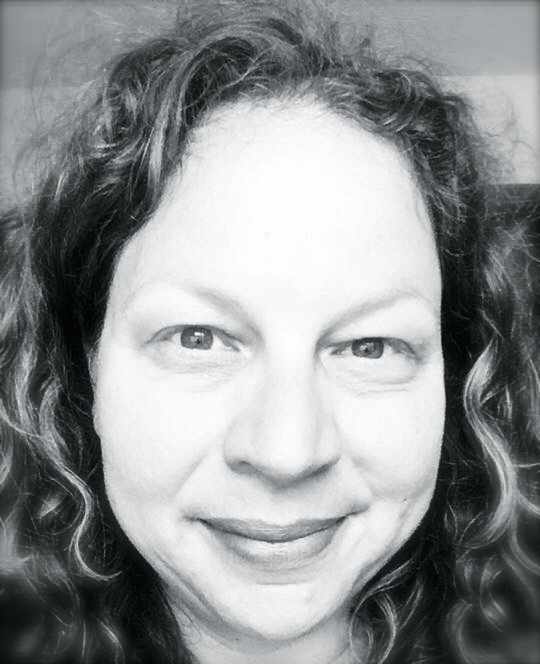 Jamie Seger has served as director for the Ohio State University Extension Educational Technology unit, which spearheaded both state and national innovation efforts from new scholarly review processes for digitally created works to hackathon events. She also co-founded the nationwide eXtension Educational Technology Learning Network and served as its leader of Community Design. Jamie has given more than 50 presentations, including invited keynotes and workshops, on technology use in innovation in Extension. Recently, Jamie’s role in Ohio is currently in flux as OSU Extension transitions into their new organizational structure. Paul Hill is a tenured Extension Associate Professor for Utah State University where he leads economic development and 4-H STEM education programs in Washington County. In 2015 he was awarded the Utah Governor’s Medal for Science Technology as well as the Faculty Innovator Award from USU Extension for his work in spreading the Maker Movement statewide. Paul received a national fellowship with the eXtension Foundation to study the economic impacts of the Maker Movement nationwide and represented Utah as a Maker Ambassador to the White House during the 2016 National Maker Faire. In 2013, Paul piloted the first 4-H Computer Science Clubs and this year he is leading professional development for the National 4-H Computer Science Pathway program to reach 100,000 youth in 22 states with $1.5M funding from Google. Jamie and Paul received the inaugural Joint Council of Extension Professionals Creative Excellence in Extension Award in 2016 for their leadership in educational technology and innovation. Amazing things happen when we gently nudge each other out of our comfort zones. When working with a population that might prefer to be outside digging in the soil rather than learning behind a computer monitor, reaching a statewide audience with online continuing education presents unique challenges. The Master Gardener Program (part of UW-Extension) has developed strategies for engaging this unique audience of adult volunteers using online technologies. This seminar will focus on highlighting how Google+, personalization, and video media have been used to provide interactive, asynchronous online courses to efficiently deliver continuing gardening education throughout Wisconsin. The seminar will also discuss an element that all too often is forgotten in adult education: fun! We will share some examples of our experiments and successes with fun to inspire you to reach adult learners in new ways. Do video lectures improve student assessment scores for distance learning students? B1 – Do video lectures improve student assessment scores for distance learning students? Physical Science, PHYS160, at UW-Superior is a course with a wide range of topics; basic physics, chemistry, and astronomy. This is a large breadth of content for students to learn and difficult to find a text book that addresses each area of content to the depth that is required for the course. Some texts do not go deep enough on a topic. Some go to deep on other topics. Because of this, for the Fall 2017 semester, a series of over 60 lecture videos were created as part of a SoTL Homegrown Research Grant to be used as the primary learning source for students in the course, replacing the previous text book. The students went through the same agenda and weekly schedule as has been followed in previous semesters, but instead of reading a chapter in the text book each week, they watch from three to six lecture videos presenting the content. Students then took the same weekly quizzes, performed the same labs, were involved in the same online forum discussions, and did the same projects throughout the semester. Students also took the same four online exams. How the distance learning students perform on these exams after learning the content through lecture videos compared to a text book? Did the students prefer the video lectures over having to read and learn content from a science text book? What are the “next steps” in improving a course that is tasked with addressing a wide range of content for distance learning students? During the Fall 2017 semester 10 instructors from the University of Wisconsin Whitewater explored the use of Cisco Spark (https://www.ciscospark.com/) in their courses. In this project, two distinct engagement features were explored: 1) the Spark Board which allows for videoconferencing, wireless content sharing, and collaborative electronic whiteboarding; and 2) the online Spark Space which is an online interactive environment accessed by users through a mobile app, laptop client, or website browser. Join two of the instructors who participated in this exploration as they discuss how they used Spark to increase communication with students, enhance documentation of classroom proceedings, and give students a true collaborative online space for teams to work both inside and outside of the classroom. In this session instructors will share information about the exploration process, how they have used Spark in their courses, and share best practices for implementation. Pre-service teachers have access to an array of resources that they can tap into while they are in a Teacher Education Program. However, once they move beyond program completion, graduate and move into their first job they miss their network and support system or have to build them up at their new locations. By requiring them to engage in professional development in a science methods or any other course enables them to create a plan for further professional development specific to their needs and expertise during their initial years. Dr. Ali embedded professional development activities for her online methods class NSED 321 through webinars and e-courses this fall semester and is requiring them to not only complete it; but also set up a plan for further professional development based on each pre-service teacher’s area of interest and expertise. Following webinars and e-courses were selected in her class in fall 2017: Cornell Lab of Ornithology Birdsleuth, NASA Educator Professional Development Collaborative and Project Learning Tree (PLT). Dr. Ali believes that providing this scaffolding for pre service teachers will shed a positive influence in retaining them in their careers. Probably every college instructor has experienced the moment when nobody responds to a question intended to assess their understanding of the course material. A variety of tools (ex. Poll Everywhere, Plickers, Quizlet) can be used to receive immediate feedback from students, that can help inform instructors as to students’ understanding of the materials, as well as how engaged the students are in the material. In this presentation, we will (1) offer examples of how we have used these types of tools in our courses, (2) discuss the opportunities offered by tools that provide immediate feedback from students, as well as some of the limitations, and (3) consider the different uses of these tools depending on the format of the course (e.g., traditional face-to-face, hybrid/blended, fully online). Attendees will learn about the multi-tiered process the UWM Center for Excellence in Teaching and Learning (CETL) undertook in collaboration with UWM Libraries to accelerate adoption of open textbooks and/or open educational resources (OER). Initially, instructors were informed about open textbooks and OER through campus-wide forums and offered an opportunity to earn a small incentive for writing a short review of an open textbook. UWM Libraries and CETL then worked together to support instructors’ selection of open textbooks (and/or OER), and any course modifications or redesign needed. To scale the academic success associated with use of open textbooks and OER, groups of instructors were incentivized and supported in adopting an open textbook across online and face-to-face sections of gateway courses with large enrollments. The outcomes from adopting an open textbook and/or remixing OER were documented, including other pedagogical enhancements, as were the strategies and advice instructors offered for others contemplating open textbook or OER adoption. Additionally, findings (i.e., earlier course engagement and better performance throughout the course) will be presented from a rigorous study comparing student outcomes when a high cost commercial textbook was used and when an open textbook replaced it. As part of this session, instructors who adopted an OpenStax textbook for a key gateway course will share their experience, the positive course modifications they made as they incorporated the open textbook, the textbook cost savings accrued for their students, and the community of teaching practice that resulted. It is hoped that the multiple perspectives shared in this session from all those involved – CETL Teaching, Learning, and Technology Consultant, Libraries Online Program and Instructional Coordinator, and instructors will help attendees apply the strategies on their own campuses to accelerate open textbook and OER adoption. We conducted a survey to better understand faculty conceptions of competency-based education. Our goal was to identify where faculty who are new to CBE struggle, and examine how those struggles impact the design and development of CBE courses. In this session, we will discuss development of the survey tool and some preliminary findings. The Division of Continuing Studies Educational Innovation Production & Development department strives to ensure it is providing students with the highest quality of online learning possible. Beyond engaging in “high-touch, high-feel” instructional design with course instructors, we believe this requires a separate and deliberate quality control process. What began as a single student hourly recording course edits in a blank spreadsheet has evolved into the systematic processing of every DCS-PD course in its entirety before each term it is offered, including all credit and non-credit offerings serving either traditional or non-traditional students. Learn more about the tools of a quality control process that, itself, has undergone numerous revisions for the sake of student success and satisfaction. Objectives for this session include: learn extensively about an online course production team’s quality control process; view examples of quality control forms and instruments, evolved over multiple iterations; see how Quality Matters Rubric and process can be adopted and integrated into an in-house process; gain insights and ideas about post-secondary online education quality control models and trends. This presentation showcases the Graduate School & Stout Online’s processes/workflows/tips for creating accessible instructor-created and non-instructor created media. Further exhibited is GSSO’s action registers (project management), systems, and research-based practices for high-quality products. The presenters will also feature their “Automated Transcription Tool” for the rapid transcription of audio and video media. Teaching performance base courses online may seem like an insurmountable challenge, but with the right tools, the online classroom can be an incredibly dynamic place. This session will explore the use of the online VoiceThread tool to create a dynamic performance-based classroom. Over the past several years, I’ve used and integrated the VoiceThread website in my online Oral Interpretation course which allows students to record their oral projects in the class with VoiceThread. The ease of the VoiceThread tool allows students to forget about learning or purchasing new software and instead creates a course page for them to record their performances. In addition to students using VoiceThread to record, I’ve worked through various stages and processes of giving effective feedback to students. Using the D2L Grading tool, I have been able to leave both written and verbal feedback in a very time efficient way that helps provide one-on-one quality feedback for each student. This presentation will demonstrate how to easily create a VoiceThread and integrate it into the online classroom, as well as exploring how to use the D2L Grading app as one option for giving dynamic feedback to students. Through the use of real examples, the session will explore how the VoiceThread tool can open up your classroom to new possibilities. As part of the teacher education program at UW-Superior, student teachers have been required to participate in four on-campus sessions: an orientation to student teaching and three professional development days. The student teaching orientation has been the first opportunity for these teacher candidates to become versed in their handbook and to receive an official overview of the requirements for submitting their edTPA (Teacher Performance Assessment) during their culminating clinical experience. The professional development days have included information on the Senior Year Experience required by the Teacher Education Program, interviewing skills, licensing, additional edTPA tips, and more. With distance learning students from rural northern Wisconsin, Minnesota, and Michigan now outnumbering the number of on-campus students completing the teacher education program 2:1, the push is on to move these four days into online or virtual formats. In this session, the presenter will describe the process being used and the challenges and benefits being experienced as the first sessions become live in spring, 2018. Rachel and John will walk through Copyright law and the two addendum that affect instructional practice; Fair Use and the Teach Act. The tour will use real-world examples and show how to determine with confidence if the use of a variety of education media is allowed, as well as how to protect your own work, using UW Colleges Copyright page as a guide (http://uwc.edu/library/copyright). Attendees will be invited to submit their own cases for analysis. Discussion on the Rocks? Add a Twist of Fresh Alternatives! Online discussions are often used as a stand-in for face-to-face conversation and they can become tedious to both students and faculty. Faculty can begin to feel the pain of having to read through a lengthy list of threads to ensure the discussion is on-topic, provide student feedback, and grade posts. Varying discussion formats–whether by incorporating debates, visuals, reflections, or other strategies we’ll discuss–can go a long way in making student discussions more enjoyable and more meaningful. Think of this as putting a twist on the traditional form of online discussions. Multiple course challenges had been resolved after teaching a highly active graduate course for fourteen years. A weekly individual assignment, Course in Progress (CiP), entailed applying course content to a design that ultimately became synthesized into a larger, final project that had been critiqued each week by student peers. The first half hour of class entailed an extensive, peer review process of each student’s weekly designs in Design Teams of three students. This critique process was revised each year to maximize the learning and “value-added” for reviewers and authors, and raised the quality of the final synthesis project. A carefully constructed rubric and solicited student feedback at multiple points yielded an equitable and focused Peer Review process that had been successful. Shifting to an active learning classroom (ALC) provided opportunity to re-think several course design features, including this series of design assignments and the Peer Review process. How could flexible team space, and increased collaborative use of technology in and out of the classroom impact this higher level assignment? Millis, Barbara J. (2002). “Enhancing Learning-and More! Through Collaborative Learning.” IDEA Paper 38. The IDEA Center. As the University of Wisconsin System begins switching over from Desire2Learn (D2L) to Canvas, course migration is on everyone’s mind. While exporting a course out of D2L and importing it into Canvas is an option, you may want to consider building your course from scratch in the new digital learning environment. Attend this session to see why starting from scratch in Canvas may be more beneficial than moving over an existing course. UW-Madison adopted a centralized > decentralized support process in helping the campus move to Canvas over a series of three semesters. This presentation will share the support process improvement phase that was implemented between the first and second semesters of the transition. Concept owners and project management made sure to have leadership’s support to conduct a support process improvement phase to address how to “change” the change management tactics and ensure the methodology was working and effective. This presentation will share what lessons were learned and what improvements were made. Using a constructivist online learning approach means that instructors guide students to manage their own learning through self-reflective and collaborative processes (Gazi, 2009). In the face-to-face environment, class meetings naturally provide opportunities for group discussions and collaborations that are synchronous. Transitioning those moments of meaning-making into the online classroom can be challenging, particularly if students are resistant to “live meetings” scheduled to build classroom community. High-quality instructors recognize that discussions within online courses need to be authentic and relevant; they should support the growth of “knowledge building communities” (Swan et al., 2000, p. 379). Offering synchronous sessions is one of the ways to encourage such meaning-making. Yet, one of the benefits students enjoy about online learning is the “anytime/anywhere” nature; this control gives them the power to choose when and where to learn. So what options can an online instructor enlist to alleviate this challenge? Flexibility in determining how student learning outcomes can be met can shift some locus of control to the student. This presentation shares an online instructor’s approach to transform an assessment tool to meet the learning goals and to increase student satisfaction. The revision allowed students choice in an assessment: to select synchronous live meeting options or to complete a written task. The session shares the instructor’s rationale, method, and assessment mechanisms (along with rubrics) for the student learning outcome along with student feedback about the experience. Creating engaging modules that cover the topic and are easy to produce is a continuous struggle. Some of the best moments in face-to-face classes are after the lecture, when students ask questions that help clarify concepts and expand on ideas. This type of learning is difficult to replicate in a static, self-paced module. Our solution was to create an interview-style audio recording between a novice and expert. This led to modules that were quick to publish, easy to listen to, and useful to the learner. Our students continually ask us for examples of how to apply the concepts we teach them. Therefore, we also include videotaped demonstrations of the models and theories we discuss during the interview. These modules were designed be used at any point in the learning process. They are basic enough for viewing before the class, great for immediate follow up, and users can come back to them whenever they need a reminder. Essential to creating PK-12 classroom environments that welcome and engage all students in learning are opportunities for teacher candidates to see how we build community and engage in culturally responsive practices. This session will demonstrate how we can use strategies similar to those modeled in a face-to-face classroom with students living across the state, country, and world. Through the use of effective grouping strategies and engaging activities and experiences, we can build classroom relationships that enhance online learning experience that consider the diverse knowledges and experiences that students bring with them to our classes. In this Multicultural Education class within a Teacher Preparation Program, students are able to share their own traditions and experiences while learning about those of their classmates, engage with experiences outside of their own culture, and discuss potentially emotional issues surrounding diversity in powerful ways within the safe and welcoming environment they have helped to create. As a result, students have been able to form relationships that provide support and friendship as they continue through our program. This design case describes the process that went into the design and facilitation of a blended learning training for college faculty in a Midwestern university in the United States. Using Design Thinking as a framework for approaching blended course design, this design case describes the context of situating the need for a training, the process in conceptualizing the design and delivery of the training, the design process of participants and sample artifacts that were produced as an outcome of the training. Consistent with the structure of a design case (Howard, 2011), this case will not address generalizable lessons for how trainings should be designed and it is primarily written to describe how design thinking is used as a framework in approaching instructional design. Discussions in an online course of 60+ students can be a challenge. In this session, an online instructor will share how she manages weekly discussion in a large online course using role-based discussions. Roles rotate each week and one student in each group submits a summary to the dropbox for grading. Resources and instructions for students will be shared, along with lessons learned and a new addition for quality control. Software programs such as Kaltura’s CaptureSpace Lite allow instructors to record webcam video of themselves within an instructional video in a “picture-in-picture” format, but the effect of this addition is not widely studied. The presenter will describe the experiments she performed recently to determine how seeing an instructor within the video affected students’ satisfaction, connectedness with the instructor, attention, and learning outcomes. In addition, related research will be described and suggestions for further study from participants will be encouraged. At the University of Wisconsin-Milwaukee, the Center for Excellence in Teaching and Learning (CETL) and the Accessibility Resource Center (ARC) combined efforts to develop an online, self-paced accessibility training for UWM instructors. This collaborative effort leveraged the in-depth content knowledge of ARC and the faculty development expertise of CETL, which resulted in a training with two primary purposes: 1) to provide an online workshop experience leading to a certificate of completion; and 2) to provide ongoing, just-in-time accessibility resources to instructors. This self-paced training site is organized into two main modules. The first main module gives resources to instructors on working with students who need accommodations, including alternative testing, notetaking, interpreting, academic flexibility, and assistive technology, as indicated by each studentâ€™s accommodation plan. The second main module focuses on Universal Design principles, which includes an overview of the theories and approaches of Universal Design as well as specific strategies that instructors can implement into their courses right away. Furthermore, the training itself contains several practice self-assessments to reinforce learning, and in order to earn the certificate, instructors must complete a 20-question quiz and submit an artifact from their courses that incorporates some aspect of the accessibility training. In this presentation, therefore, we will discuss the specifics of the training as well as our approach to the collaborative process, including the successes and the challenges we faced throughout this process. The training itself will launch in January at UWM’s Teaching and Learning Symposium, so in this session, we will plan to also discuss how the training was received by the campus and what revisions we will be making. Participants will leave the session with some accessibility resources as well as strategies for developing similar collaborative trainings on their campuses. Incorporating media, specifically video, leads to increased student awareness, engagement, and comprehension. In this session, we’ll show several examples of how to move beyond narrated presentations and make effective use of video to introduce, clarify, demonstrate, and apply content. You will come away with ideas, tips, and examples for using video technology to bring abstract concepts and ideas to life. This session will focus on the development and deployment of a hybrid certificate program for academic advisors at UW-Green Bay. This program seeks to help advisors learn how to guide students through a transformative college experience while also learning the practical nuts and bolts of helping students fulfill curricular requirements. As such, we worked hard to have the online and face-to-face sessions work harmoniously towards the two goals. All too often the online and face-to-face sections are either treated as distinct or the online serves to merely reinforce the “real” work done face-to-face. We genuinely tried to have the two elements work together. Depending on how the first session goes in the Spring of 2018, our session will be revealing as to whether this strategy is successful. With the growth of our online classes, the College of Business and Economics at the University of Wisconsin-Whitewater needed to implement strategies to address academic dishonesty. We wanted solutions to be unobtrusive while still ensuring the rigor and integrity of our assessments. In this session, we will share the solutions we explored, how we combined assessment design with academic-dishonesty tools, the reaction by instructors and students, and our plans for the future. Many students “live on” social media – and so do many academics. Social media is a way to keep in touch with people of similar interests and to share news & ideas. Kate Gillogly uses twitter and other social media to follow events in countries she studies as well as to stay on top of events at conferences, publication announcements, and just chat about current research and teaching. This has become our “frontline” of sharing academic information. In order to demonstrate to students that the content they learn in class are current and vibrant, Gillogly creates Twitter lists of people who post on topics related to the class and posts the feed on her course pages – a technique she learned from Maggie Lawler in an online course development workshop. These lists are vibrant reminders that what we teach in university is relevant to their careers. Problems include curating lists to ensure relevance, as there is no way to filter out the more personal posts that come from accounts; using these lists as a basis for discussion in class; and using course-specific lists to encourage students and faculty to have real time discussions about the class. Maggie Lawler will provide specific information about creating this feature and how she has introduced it to faculty in the Online Course Development Workshop and the KnowledgeBase. There are key elements that research has shown are essential to the design of quality courses. As part of the process of becoming a campus, UWC Online specified its courses be reviewed to determine if they possess these elements. Quality Matters (QM), a faculty-driven collaborative quality assurance process, was chosen to provide the model for conducting course reviews. The eight general QM standards describe the elements essential to a quality course design. QM is a process that aims for continuous improvement of course designs in a collegial and collaborative manner. Dr. John Hollenbeck, a certified QM peer reviewer, will introduce the QM rubric and show how its application can be used in continuous improvement for all courses. During Spring term 2017, I explored the use of interactive on-line homework assignments in a large (160 student) Genetics course, to see if the benefits of recitation sections could be duplicated in an on-line environment. I built 14 weekly homework assignments in a variety of platforms: Adobe Captivate, Articulate Storyline, D2L quizzes, and a written assignment. At the end of the term, students completed a survey targeting their dispositions to the different types of homework and their perceptions of the effectiveness of these tools at fostering learning. The ease of use and success of the platforms varied. Students varied in their reactions to the assignments, with most finding the assignments at least somewhat useful in helping them master skills and knowledge, though student test scores do not corroborate an effect. A disturbing number of students exploited weaknesses in assignment design to score points without building skills and knowledge. Use of on-line platforms for instruction must take into account the different motivations of students compared to instructors, to ensure successful employment in facilitation of student learning. It is becoming increasingly important for instructors to develop effective strategies for fostering a deeper sense of community in online platforms. This session shares the learning outcomes of assigning students to use rich media for leading online student-driven discussions. In the interest of creating an active online community in my Women’s and Gender Studies course, I designed an assignment that tasked each student with leading one of the weekly online discussions by generating critically analytical discussion leader videos in our D2L discussion forums. The student videos were to respond to a course reading and present a question for the class to discuss. The outcomes of the semester-long activity revealed a more actively engaged online community, when compared to previous semesters when this assignment was completed using only written text. Students claimed they enjoyed seeing their classmates and learning more about their online peers through the videos. As a result, this online section experienced increased student-to-student interaction and deeper engagement with course content, resulting in increased student learning. This session will share the original assignment, learning outcomes, sample discussion posts, student feedback, and strategies for implementing this assignment in other online classes. The conference is scheduled for April 3 and 4, 2018. Do I have to be affiliated with the University of Wisconsin to attend? No. Anyone with a computer and an internet connection can attend. It is free to attend the Virtual Showcase. No, but it is recommended. Registering in advance will ensure that you will be informed of schedule changes and other important updates. Do I have to be affiliated with the University of Wisconsin System to present? Unless you are one of the keynote speakers, probably. You can apply as a co-presenter with someone affiliated with the University of Wisconsin System. Complete proposal information is found on the proposal tab. What is the deadline for submitting an education session proposal? The deadline for submitting education session proposals is November 30, 2018. When are presenters notified of selection? We will notify presenters of selected education sessions in late December. What web conferencing tool will be used? It hasn't been determined at this time. No matter which tool we decide to use, Instructional Communications Systems will be monitoring all sessions to provide technical assistance. Volunteer moderators will also attend sessions to help presenters. What kinds of support do we provide to our presenters? What format should presentations be in? Slide shows are generally PowerPoints. You can also share your browser or any software operating on your desktop. Video shared will have delays and be choppy. If you want to share video, paste a link in the chat window and instruct participants to watch in their browser. They can indicate in the chat window when they are done watching the video. Where will session connection information be posted? A complete list of education sessions, descriptions, and links to the virtual conference rooms will be posted on the schedules for each day as information becomes available. Yes. Sessions will be recorded and links to the archives will be posted on the Sessions tab after the conference. What if I require special accommodations to attend?